Yellow is associated with gold and is considered a symbol of purity, clarity truth, and intellect. The ancient Mayan people associated the color with corn, thus, it holds symbolism of provision, sustenance, and all things that are wholesome. It's associated with joy, happiness, and energy. Yellow produces a warming effect, arousing cheerfulness and energy. Create a beautiful barnyard themed bouquet with sunflowers, medium yellow roses, billy balls, succulents, and dusty miller. White roses, gerber daisies, alstroemeria, monte casino, crespedia, and greens are also one of our favorite combinations. Scientific studies that yellow increases memory retention. This ties the color to intelligence and reason. Give a friend in graduate school a bunch of medium yellow flowers to help with him/her with their studies! True to Flower Explosion's excellent standards, we source directly from the farm. 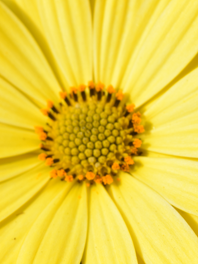 All our medium yellow flowers are grown in the Andes foothills that enjoy 350-plus days of sunshine. They are cut-to-order and arrive at your doorstep just 3 days after first cut to ensure your flowers are the freshest possible.7 We recommend you schedule your delivery two days prior to your event to allow sufficient time to hydrate your flowers. Also, remember to see our wide variety of colors and be sure to check out the many additional services.